One of the leading suppliers of used printing machinery, GAB Supplies is reputed in UK and Europe for good quality second hand print machines. GAB Supplies offers good quality reconditioned printing machinery as a viable solution to rapid advancements in the print industry. For more than 15 years, we, at GAB Supplies have operated as a resourceful used printing machinery and reconditioned printing machinery store, stocking famous brands of printing machinery. During these years we have developed a reputation for supplying used printing machinery and reconditioned printing machinery at a lesser cost of the price of new printing machinery. 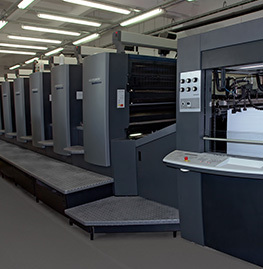 Our strategic connections in the printing industry help us to procure a large number of used printing machinery and reconditioned printing machinery. This gives GAB Supplies the advantageous position of maintaining a huge assortment of latest printing machinery (used printing machinery and reconditioned printing machinery) models in comparison to vendors that provide used print machinery to the global printing industry. Our large stock of latest printing machinery (used printing machinery and reconditioned printing machinery) gives customers a clear advantage to select good used printing machines to suit their specific requirements. 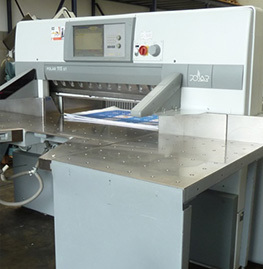 GAB Supplies used printing machinery warehouse in Milton Keynes showcases several items of same model of used printing machines helping customers to choose good quality print machinery. 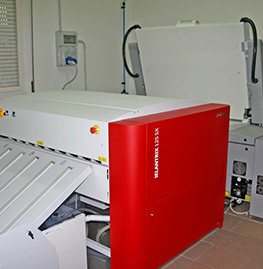 Customers are also assured of buying reliable used printing machines. Before selecting used printing machinery for procurement routine inspections are performed to ensure that only good quality used printing machine stocks are in our warehouse. In addition to stocking all brands of printing machinery (used printing machinery and reconditioned printing machinery), we are specialists in Heidelberg offset used printing machines. All of our Heidelberg offset used printing machines are cautiously chosen to guarantee that we only offer top Heidelberg used printing machinery. We employ experts in the second hand print machines industry to safeguard customers from buying poor quality used printing machinery, or sub-standard used printing machinery. With a huge supply of stocks of used printing machinery from major manufacturers such as Heidelberg, Komori, Roland, Polar, Stahl, Muller Martini & Wohlenberg, we are able to serve our valued customers efficiently. Whether you are looking for used printing machinery or reconditioned printing machinery of any model you can be assured that at GAB Supplies, we will have specific used printing machines in store to fit your requirement.